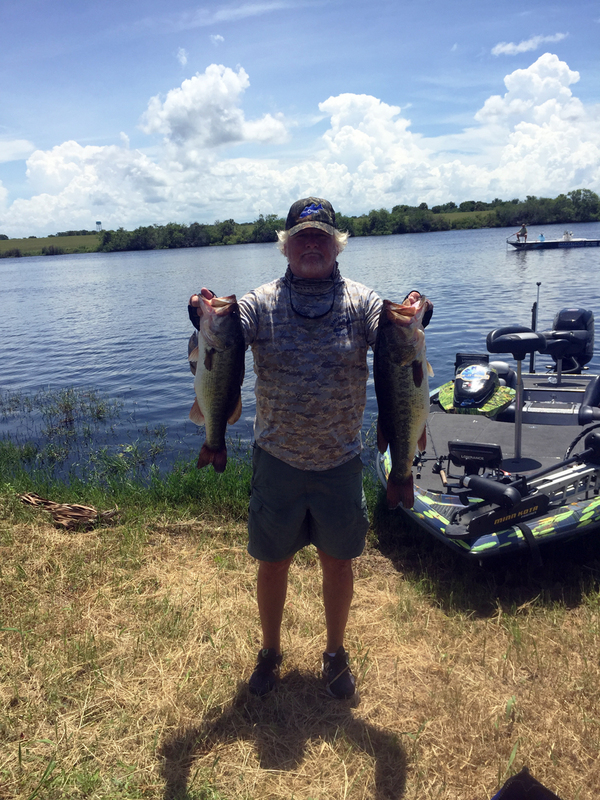 These past three months on Lake Okeechobee the fishing has been outstanding despite the rain that came through over the last couple of months. The increase in the water level now has the lake averaging about 14.09. The windy conditions made it a little more challenging. The water clarity on the lake is not as good as it has been and limits the area of fishing. Fortunately, my go-to pockets still produced the numbers I have been catching and we’ve seen sizes up to 8 lbs. Bass fishing on Lake Okeechobee right now is consistent with my theory of how the fish move with the Moon Phase we just passed. The current water temperature is approximately 85-93°. The weather forecast shows a lot of rain and heat confirming we are in the summer patterns now. The best bait has been the top water, Ratter traps and charter baits in the morning. After the morning bite is over, throwing a SENKO has been really good. Flipping a big jig has produced a better fish. I highly recommend fishing the following areas…Grassy Island, Tin House, Monkey Box and Shoal Island. 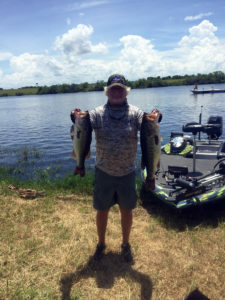 Here is a picture of me with a couple of fish from this weekend’s tournament. The lake is fishing GREAT!